If you are looking for a Mizuno wood bat, please, please buy this one and not the flimsy bamboo ones you see at Olympia Sports. Bamboo is not even allowed in American Legion, because it is considered a plant, and not officially wood. More importantly, bamboo flexes much more than maple wood does, causing the ball not to explode off of it the same. The funny thing is, Des may not be swinging this bat much longer. In a recent tweet, he announced that he will be getting bats from the Anchor Bat Company this season. We will be sure to update you if we see him swinging them in-game and if he leaves Mizuno bats 100%. You can check out Anchor Bat Company here, and buy Ian’s Mizuno bat by hitting the big blue button. 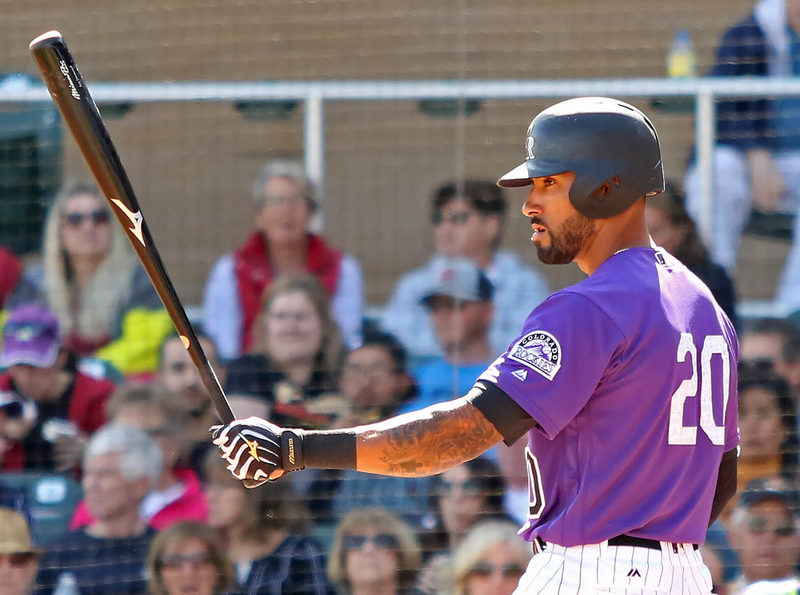 Categories: Ian Desmond, Gear, Bat, Colorado Rockies, First Base.